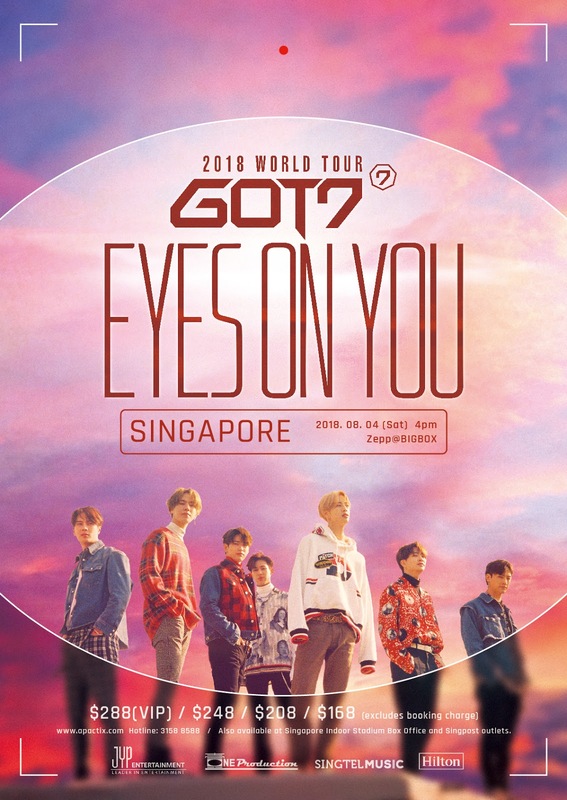 Come August 4, 2018 (Saturday), seven-member K-Pop boy band GOT7 will return to Singapore for GOT7 2018 WORLD TOUR ‘EYES ON YOU’ IN SINGAPORE, to be held at ZEPP @ BIGBOX. Having debuted in 2014, GOT7 comprised of leader JB, Mark, Jackson, Jinyoung, Youngjae, BamBam, Yugyeom. The group’s name came from the number of group members, and that it was thought that the number 7 would bring them good luck. GOT7 released their new mini album “Eyes on You” on March 2018 and secured the No.1 position on iTunes album charts in 20 countries, which includes Brazil, New Zealand, Hong Kong, and Singapore. The album's title track “Look” dominated many Korean music charts. With tickets to the Seoul leg of the tour all sold-out after the opening of ticket sales, GOT7 ‘EYES ON YOU’ WORLD TOUR IN SINGAPORE promises to be an exhilarating concert that fans should not miss. Not only is the septet slated to perform a myriad of familiar hits including ‘Hard Carry’, ‘Look’, ‘You Are’ and ‘Never Ever’, fans can also look forward to several new songs, specially prepared by three sub-units in the group. With seven members of differing charisma and personalities, GOT7 2018 WORLD TOUR ‘EYES ON YOU’ IN SINGAPORE is definitely an event not to be missed! 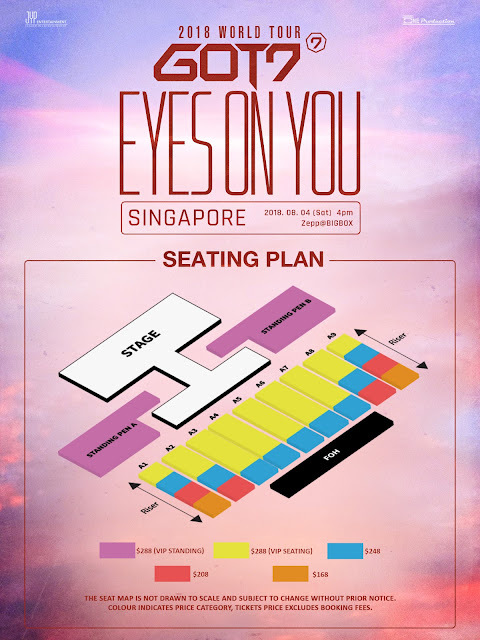 Tickets for GOT7 2018 WORLD TOUR ‘EYES ON YOU’ IN SINGAPORE priced at $288 (VIP), $248, $208, $168. The VIP package will include 2 exclusive gifts and 1 lucky draw chance for a HiTouch Session with GOT7. All winners will be selected at random and more details on the VIP package will be released on ONE Production’s Facebook page a week before the event. Tickets will go on sale from 10 June, 1200h via APACTix ticketing channels. Singtel mobile customers can enjoy priority sales from 09 June 1000h to 9 June 2359h. For more details, please visit Singtel’s Facebook page.